Yoni Alter is an esteemed digital graphics artist, who’s growing reputation is proceeding him. Collaborations with Karl Lagerfeld, London Live and the UK Film Festival have given way to a huge reverence for Yoni and his art over the past couple of years – in turn incurring an electrifying buzz and stir for his creations from big retail giants like John Lewis and Selfridges and the reputable museums and galleries; MOMA and Tate among them. 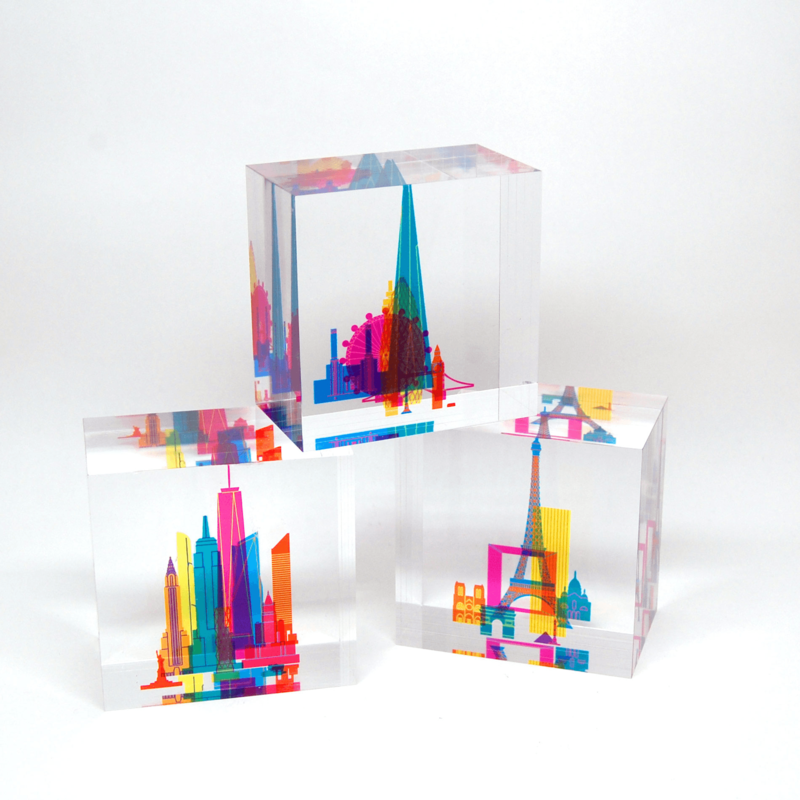 Yoni first approached us to develop his Acrylic Skyline blocks. These visually impacting cityscapes, permanently suspended in time have caused a real stir in the artworld – and the additional designs keep coming. 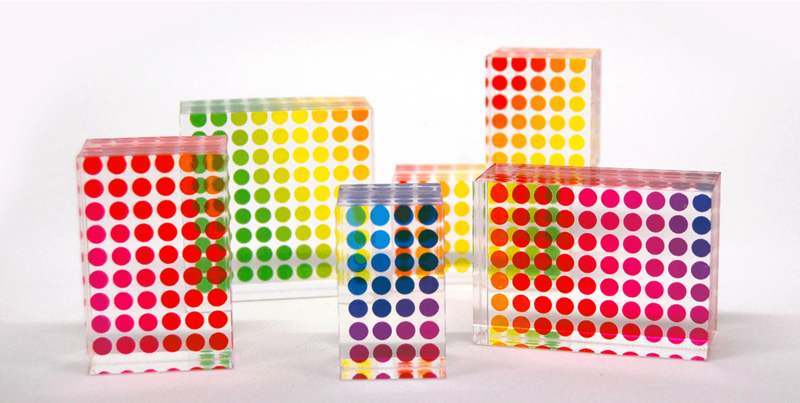 For the production of these blocks we work with a very clinical and competent cast acrylic factory based near our Shenzhen office. The factory have been great to work with and they have always produced an outstanding finished article for us to supply Yoni with. 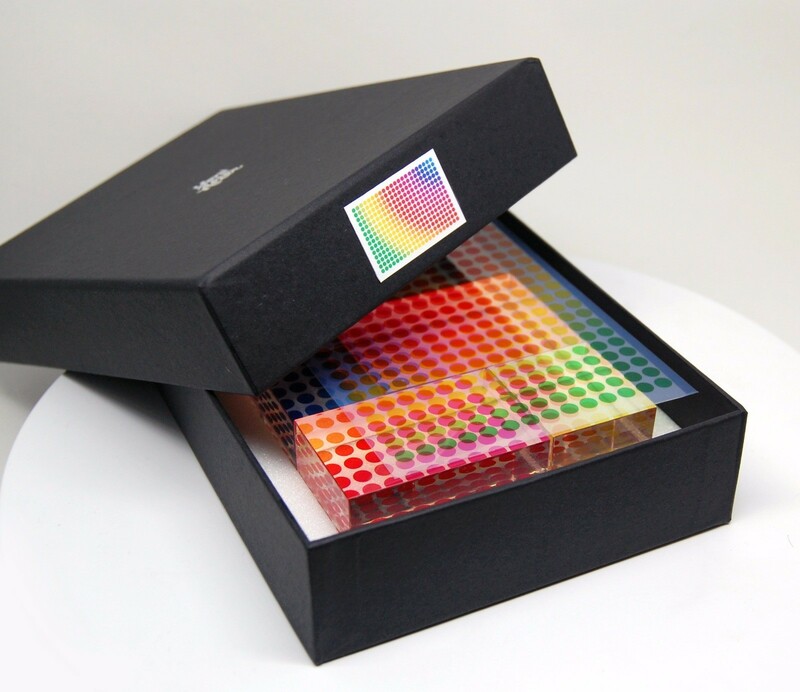 The blocks are packaged in a premium matt black textured gift box, adding to the overwhelming purchase of a product of this nature.